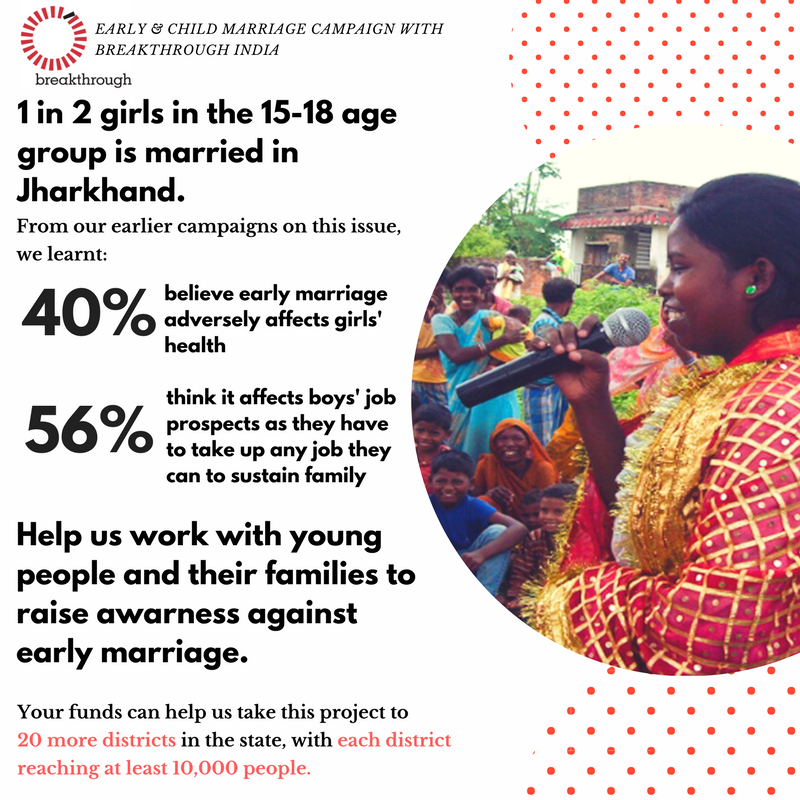 Gram Vaani collaborated with Breakthrough to interact with families and young people in Jharkhand – where 1 in 2 girls in the 15-18 age group is married – to call for an end to early marriage. Over 15,000 users called and participated in discussions, while offline discussions happened in 17 districts. Read more about the project here. Here is our plan to take this project further. Write to us at contact@gramvaani.org/ to know more or contribute to co-funding this project!